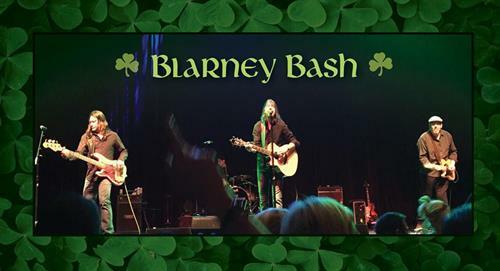 What better way to celebrate St. Patrick’s Day week than by listening to a band who captures the look, feel and sound of one of the world’s most popular rock bands that hails from Dublin, Ireland. As the nation’s premier tribute to U2, The Joshua Tree pride themselves with their ability to generate a unique musical experience that does not lend itself to impersonations. Without compromising artistic integrity, the band has gone to great lengths to reproduce the distinct sound of one of the world’s most popular rock bands. Unique to The Joshua Tree is their dedication to the entire U2 songbook, including early fan favorites from the 1980-1987 period (Boy, October, War, The Unforgettable Fire, and The Joshua Tree). Playing each song with the same intensity and emotion, the band covers all phases of U2’s career from their first album, Boy, to the most recent, Songs of Innocence. Show proceeds benefit the Salisbury Beach Partnership's free beachfront concerts and fireworks all summer long.